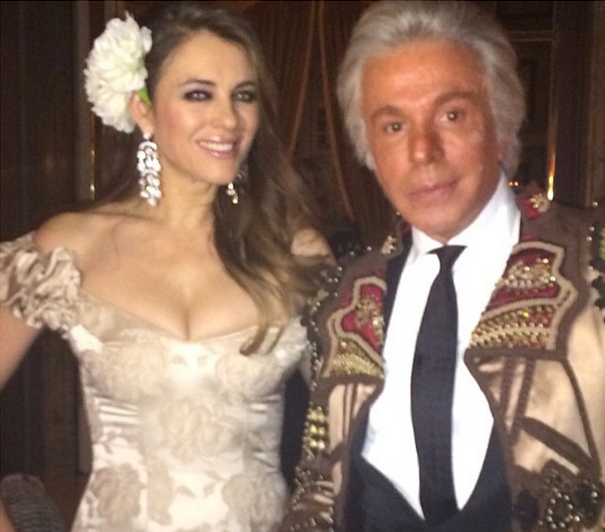 OK. We all know that Elizabeth Hurley looks fantastic in clothes. But the star of E! series The Royals—naturally, she plays the queen—is as valued by Mr. Valentino and Mr. Giammetti for her company as she is for her way with a red carpet gown. Hurley has been an indispensable presence at many major Valentino events over the years: The premiere of The Last Emperor at the Venice Film Festival, the celebration of Maison Valentino’s 40thanniversary in Rome, the opening of the Valentino: Master of Couture exhibition at Somerset House in London. She’s also a regular visitor to the Chateau Wideville and the T.M. Blue One, vacationing on the Valentino yacht with her husband, Arun Nayar, and son Damien. And in Madrid earlier this year, Hurley didn’t just come to party—she also stayed for lunch, turning up to dine with Mr. Giammetti and Mr. Valentino on the day following the soiree. Even after a night of revelry, she looked fresher than any almost-50 year old has a right to look. 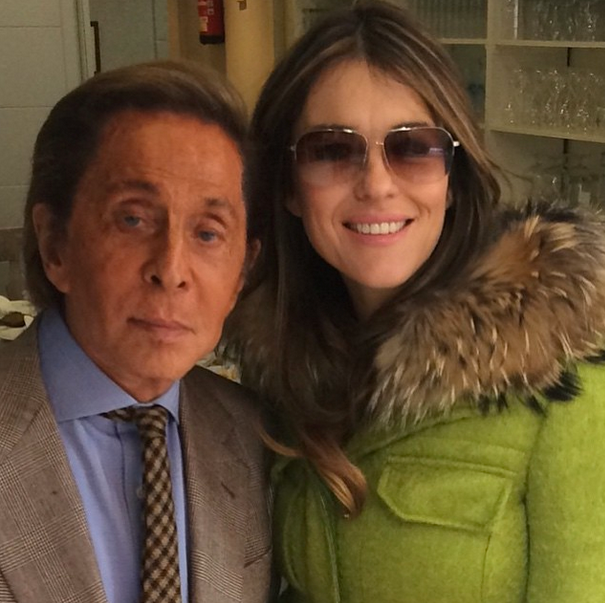 Mr. Valentino and Mr. Giammetti will no doubt be repaying the favor this month, and wishing Elizabeth Hurley many, many happy returns.